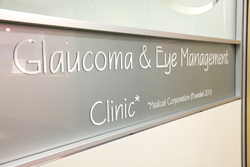 "GLAUCOMA & EYE MANAGEMENT (GEM) CLINIC"
Our name describes not only the services we offer, but also reflects the passion we have about eye care. Glaucoma is a chronic, degenerative disease of the eyes that affects people of all different backgrounds and age groups. It has a variety of forms, and continues to change and evolve over time, such that it requires regular monitoring and treatment. Getting a diagnosis of glaucoma can be devastating and anxiety provoking, since there is a real possibility for loss of vision over time. However, although glaucoma is a progressive disease that cannot be cured, it CAN be controlled and managed such that in many cases, (further) vision loss can be prevented, especially if the disease is identified at an early stage, through routine eye exams. There are, of course, many other conditions that can affect our eye health, such as cataracts, macular degeneration, and eye problems related to high blood pressure, diabetes and arthritis. These are also important issues that need to be evaluated during routine eye exams. At GEM Clinic, we endeavour to provide excellent and comprehensive eye care to help manage your eye problems. Our team strives to serve our patients with compassion and care, uphold safe medical practices and respect the dignity and privacy of our patients while providing quality eye care for patients suffering from glaucoma, cataracts and other eye problems.